Living in the desert can be a wonderful experience. 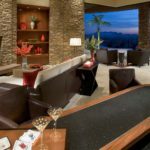 From wonderful sunshine to warmer temperatures year-round, the lifestyle in the arid climate can leisurely and relaxed. When it comes to design inspiration, you’ve got an endless supply to choose from: desert cacti are varied and sprout vibrant flowers in this summer, earth tones surround you, and the bright sunshine can aid in creating a wonderful look and feel. 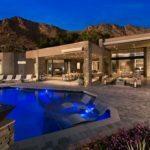 Let’s take a look at five interior design trends that residential home designers recommend incorporating into your desert home. Shade: When you are designing in the desert, keep in mind, the summer can be incredibly hot and dry. With temperatures that can climb into the 120’s creating a shaded area is essential. Deep overhangs and verandas do more than just shade an outside sitting area, they keep the interior cooler by acting as a buffer from the sun. Exterior materials: When it comes to flooring, go for cool, natural finishes like stone and adobe. Be sure to keep your paints lighter — they won’t fade in the sun, and they’ll help keep the indoor temperatures more bearable. Wood is not a good choice because of the seasonal monsoons; the fluctuating temperatures mixed with water cause the material to warp and decay. Light: Deserts experience the most sunshine in the world. By installing floor-to-ceiling windows, you can take advantage of this natural light. Adding window coverings and modern blinds however, can add to the design look and feel creating a space that you will love to be in and out of the sun. Colors: Consider the colors of the desert. Dusty sage, unbleached linen, and pale rust all provide a cool feeling while still replicating the aesthetic of the sun bleached region. At the same time, you can introduce pale pinks, marigolds, lilacs, and mauves. 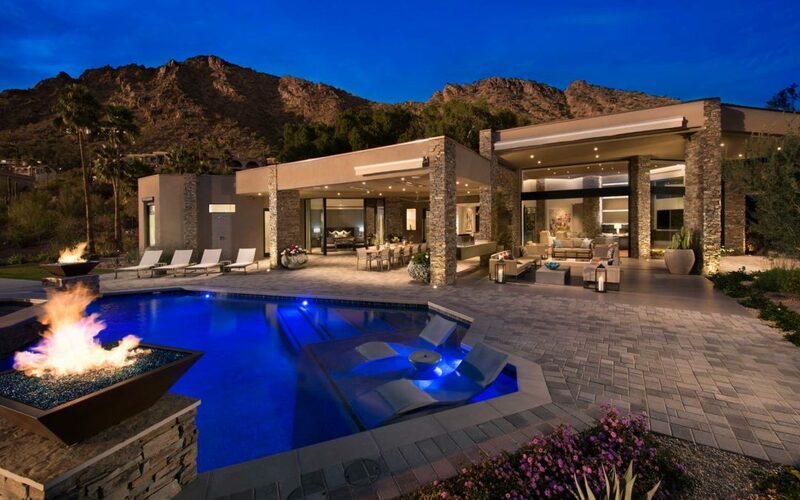 Whether you’re a millennial looking to make this desert home your own, or are retiring to warm sands and want an interior decor to match, you have plenty of freedom when it comes to decorating. 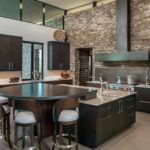 Give the team at Janet Brooks Design a call today to to explore your own unique home design look and feel. 480.776.2700.